Click on any question to view or close its answer. 1. Can I print out information about REACH? Yes, you can! Our General Information Packet is full of information about our properties and processes. 2. Are you the Housing Authority or Home Forward? 3. Where are REACH properties located? 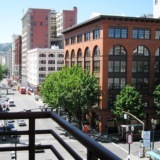 REACH’s properties are located in the Portland/Hillsboro/Vancouver area. Please view All Communities and check out our property map. 4. Does REACH provide rental assistance? REACH does not provide rental assistance. We are a nonprofit property management company. 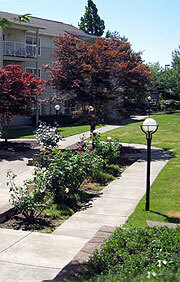 We own and manage affordable and low-income housing. 1. Do you accept people with evictions? Generally, applicants with evictions in the last three years are not eligible for REACH housing. This varies by property so please refer to the Screening Criteria of the property you are interested in, which can be found on the Eligibility tabs for each property. Applicants with prior evictions, who are “Rent Well” graduates, may be considered. 2. What are the income restrictions? Income restrictions vary from property to property. The income restrictions for a specific property are on the Screening Criteria, which can be found on the Eligibility tabs for each property and in the waitlist pre-application packet for Subsidized properties. Please refer to the Screening Criteria for the specific property you are interested in for income restrictions. 3. Do you accept Section 8 vouchers? Yes, REACH accepts Section 8 vouchers. Applicants must first meet property specific Screening Criteria. Once a unit becomes available, you will have the opportunity to complete a Rental Application for the specific unit. The Community Manager will conduct the applicant screening and upon approval of the Rental Application, the Community Manager will coordinate the move in process with Home Forward. 4. What if I have a criminal record? Each property has its own standards for accepting or denying applicants with a criminal background. Please refer to the Screening Criteria of the specific property you are interested in for more detailed criminal background screening information, which can be found on the Eligibility tabs for each property. 5. How many people are allowed per bedroom? 6. What is Reasonable Accommodation? Under the Fair Housing Act, housing providers are required to consider making adjustments to policies and/or rules (a Reasonable Accommodation) for people with disabilities to enable them an equal opportunity to enjoy housing. This obligation has limits. If the disability is not obvious, regulations allow a landlord or housing provider to request verification for the disability and the need for an accommodation from a qualified professional. Reasonable Accommodation requests are reviewed on a case by case basis. 7. Do I have to sign a lease? Certain properties require an initial lease of six (6) to twelve (12) months. All other REACH properties use a month-to-month rental agreement. 8. Can I have a roommate? Yes, you may have a roommate as long as the occupancy standards and household income restrictions are not exceeded. Each adult over age 18 must meet the property specific Screening Criteria and complete the Rental Application. 9. Do you allow pets? Service or Companion animals will be considered for persons with disabilities at all REACH buildings pending a request for Reasonable Accommodation (RA). Please ask your Community Manager for a Reasonable Accommodation. Household pets are allowed at some REACH buildings. All animals must have an up to date vaccination record, and cats and dogs must be spayed/neutered and appropriately licensed with the county. Additional pet deposits are required at all buildings; deposits range from $25 to $300 per pet - please contact properties directly for more information. No Pets are allowed at 12th Ave Terrace, Albina Corner, Allen Fremont, Glisan Commons, Gilman Court, Gray’s Landing, McCuller Crossing, Orchards at Orenco, and The Rose. 10. Where do I park? Vehicle and bicycle parking varies by property. Please contact the Community Manager directly for parking details. 1. How do I apply to be on the waitlist for a subsidized property? REACH does not maintain a central waitlist. Choose the properties you are interested in and download the waitlist application packet or contact the property directly to pick up or have a packet mailed to you. Complete the waitlist application packet and mail, e-mail, fax, or drop it off at the building leasing office. 2. How do I know if my waitlist application went through and I’m on the waitlist? You will not be waitlisted if the required * and bolded fields on the waitlist application were not completed. Due to the volume of inquiries we receive, we cannot send you a confirmation that you have been placed on the waitlist. However, you may call the Community Manager directly approximately one week after the waitlist application was submitted to verify it was received. 3. Does REACH have any units currently available? Please check under “Current Vacancies” for properties with upcoming availability. Properties with subsidized units currently have a waitlist that may be open or closed. REACH does not maintain a central waitlist. Each property has its own waitlist and application. You may be on multiple waitlists; however, the applicant is responsible for adhering to each property’s qualifications for remaining Active on the waitlist. Click on the Wait List tab for properties with open waitlist status and download and submit the waitlist application for each property of interest. 4. How long will I have to wait for a unit to become available? Completed waitlist applications are posted to the waitlist in the order received. When waitlist applications are received at the property, they are time and date stamped upon arrival. As each property maintains its own waitlist, the wait times vary depending on the type of property and populations. For a property with subsidized units, the expected wait time can be six (6) months up to two (2) years for a unit. All wait times are approximate and differ by building. Due to the volume of inquiries we receive, we cannot provide callers with their “spot on the list” or their “number on the list”. 5. When will I know if a unit is available? When a property receives a notice to vacate from a resident, the Community Manager will notify waitlist applicants by mail or phone based on their position on the waitlist. Applicants are given approximately seven (7) days from date of mailing to respond with their interest. An appointment will be set by the Community Manager to view the unit and applicants will then begin the formal Rental Application process. Waitlist applicants may decline one (1) offer of housing and remain at their place on the waitlist; after declining a second offer, the applicant will then be rendered Inactive on the waitlist and will have to reapply by completing a new waitlist application and beginning at the bottom of the list again. The Community Manager will not notify you of an Inactive status. 1. What is subsidized housing? Subsidized housing is housing that has partial financial support from public funds administered through a government program. Rent levels are regulated in subsidized housing so that they are affordable to low income households. Resident rents are generally based on income and may not exceed 30% of a household’s adjusted monthly income. 2. What is the difference between Subsidized housing and the Section 8 Voucher Program? Both programs provide monthly rental assistance and participants must be income qualified. The Section 8 Voucher Program is administered through Home Forward. Both programs are provided to a household as long as the household remains income qualified and does not violate the terms of the rental agreement and/or the program requirements. The Section 8 Voucher is portable and goes with the household to their next home anywhere within the County it was issued. The Subsidized housing program is tied to a particular unit. So, if the household moves out, they cannot take the assistance with them. 3. What is an affordable unit? Within REACH housing, an affordable unit is one with rent based on a percentage of the Area Median Income of 60% or less. Market rents are generally higher. 4. What is Low Income Housing Tax Credit? The Low Income Housing Tax Credit Program is a federal housing program administered by the State and monitored by the IRS. Credits are given to each state based on the census. The Oregon Housing and Community Services agency determines which projects will receive credits following the Qualified Allocation Plan. 5. What is considered an accessible unit? An accessible dwelling unit is a unit that is located on an accessible route and can be approached, entered, and used by individuals with physical disabilities. Ask the Community Manager of the specific property you are interested to see if it has accessible units. In most housing transactions, it is against the law to discriminate on the basis of any “protected class”. That means housing discrimination is illegal when a person is treated differently because he/she is a member of a protected group or class of people covered by fair housing laws. 5. How is the law enforced? Filing an agency complaint within one year or a lawsuit within two years of the date of the discrimination.